Hello Quick Quotes friends! 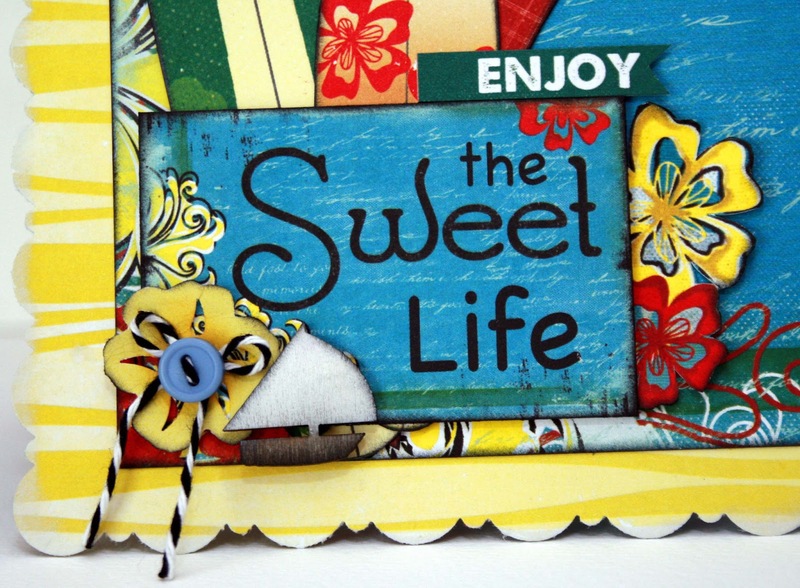 Marcia here today to share a retirement card I made for a friend of mine using the Be Bold 6x6 paper pad. I love these bright colors for a happy occasion, it just makes me smile (and wish I was the one retiring! lol). I used the Kiwi Lane arrow template from the Nature collection. It gives the card a "Go, See, Do!" feel doesn't it? The 6x6 paper pads have smaller prints which I love. The patterns are more proportional for a small card versus a layout. The paper pads also have coordinating sentiment and cardstock sheets. 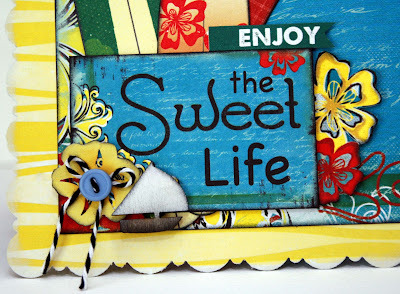 "The Sweet Life" sentiment is just one of many included in the 6x6 paper pads. I used one of the cardstock sheets to punch my flower I placed on my sentiment. It's so nice to be able to reach for a coordinating cardstock color and not spend 15 minutes comparing all my yellow cardstock and deciding which one matches best. The wood veneer sailboat was inked with the PowderPuff Chalk Ink in Coconut White and Midnight Confessions. I hope I have inspired you today to check out those 6x6 paper pads! Great card love the colors so fun. This is the best retirement card I think I have ever seen. I love the bright colors and you unique design! Great card, makes you want to go start a new adventure! I love the bright colors. Super fun card! Beautiful card! 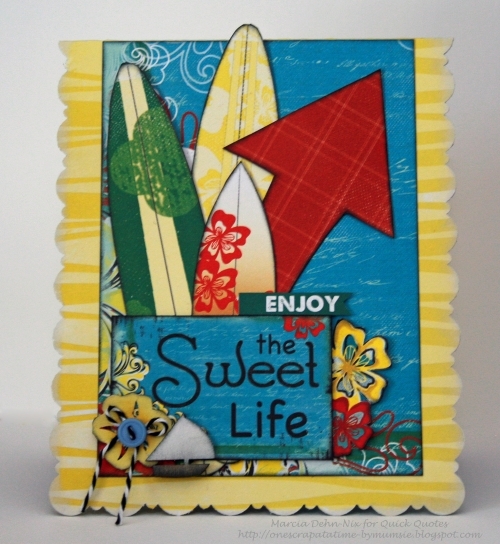 I love the way you took the fun bright colors and surf boards and made it into a retirement card! !